The main functions of PPC are the coordination of all the activities, which exist during production or manufacturing. Materials : This function is concerned with ensuring that the Raw material, standard finished parts, finished parts of products must be available while starting the operation within the time. Methods : This function is concerned with the analysis of all methods of manufacturing and selecting the best appropriate method according to the given set of circumstances and facilities. Machines and Equipments: It is important that methods of manufacturing should to be related to the available production facilities coupled with a detail study of equipment replacement policy. 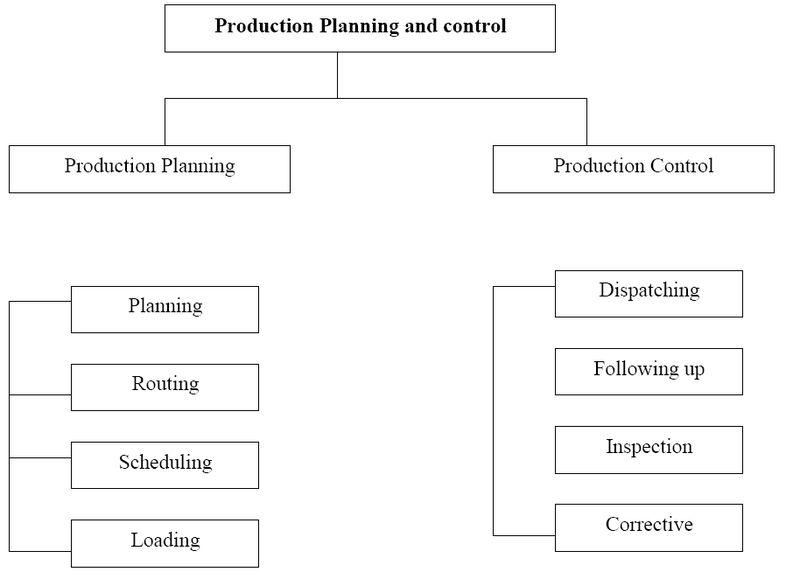 This function is concerned with the detailed analysis of the production facilities, maintenance procedures and equipment policy. 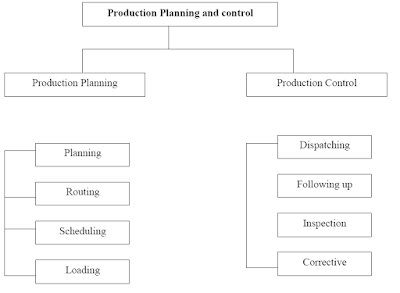 Routing: It refers to the flow of sequence of operation and processes to be followed in producing a particular finish product. It determines manufacturing operation and their sequence. Estimating: This function is concerned with estimation of operations time. The operation time can be worked Out once the overall method and sequence of operation is fixed and process sheet for each operation is available. Loading & Scheduling: It is important that machine should be loaded according to their capabilities performance the given and according to the capacity. It is concerned with preparation of machine loads and fixation of starting and completion dates for a particular operation. Dispatching: It means the assignment of work to different machines or work places which involve authorities to start of production activities in order of their priority as determined by scheduling. Expediting: It is also called Follow Up or Progress. Follow up which regulates the progress of materials and parts through the production process. It is closely interrelated with activities of dispatching. Inspection : It is an important control tool. Its assessment is important in the execution of current program and planning stage of undertaking when the limitations of the processor, method and manpower are known. It forms a basis for future investigations with respect to method, process etc. which is useful for evaluation phase. Evaluating : This is the integral part of control function. The evaluating function is concerned with providing a feedback mechanism on the long term basis so that the past experience can be evaluated with the aim of improving utilization of method and facilities. very good explanation. Keep up the good work.